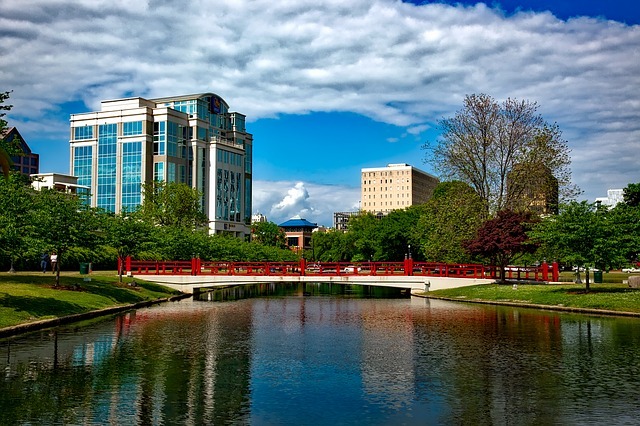 Although it might not be as popular a travel destination as California or Texas, locals and lucky visitors know that they’ve found something special in the heart of Dixie. Whether you want to take in an exciting game of football (roll tide! ), wander through a breathtaking forest, or even dig your toes into the sand as you relax along the gulf beaches, the so-called “Cotton State” really does have something for everybody. Better yet, Alabama is a fantastic state to see by motorhome or trailer. RVing through Alabama will allow you to leisurely enjoy all of the many different activities and landscapes it has to offer. Where else can you hike by a beautiful waterfall in the morning only to be surrounded by the bright lights and big buildings of a major city by nightfall? And all the while, you’ll be feasting on incredible barbecue washed down with sweet iced tea. In your rig, you’ll have the freedom to drive to any destination in Alabama you want to, exploring its vast network of Alabama state and RV parks. And you’ll be able to do so while setting your own itinerary, taking your time to fully enjoy every place you go. Another fun activity to try out while you’re camping in Alabama is to head to a camper and RV show. Alabama hosts a variety of motorhome expos and RV-friendly events that can really help you feel closer to the Alabamian camping lifestyle! Alabama’s RV shows are held in both Birmingham and Huntersville, two of the state’s major cities. That means that no matter where in Alabama, there’s an event in your area that could prove both fun and informative. Who knows? If you’re in the market, you might even end up with a brand-new rig of your own — sales are a huge component at any great motorhome show, and Alabama’s expos feature tons of great vendors. But no worries if you’re in no rush to sign on the dotted line. You can also head to one of Alabama’s best RV dealers whenever you’re ready to take the plunge. So, ready to learn more about the camper and RV shows Alabama has to offer? Here are three of our favorites. One of the largest RV shows in the state. the Alabama RV Super Show has been run by its parent company, BKProductions, for a decade now. The upcoming show, which takes place in February of 2018 in the city of Huntsville, will be the 10th annual one in the running. It should be a very special time for all exhibitors and participants! If you’re looking for a big, exciting expo with lots to see, you’ve come to the right venue! The Alabama RV Super Show features over 100,000 square feet of motorhomes and travel trailers on display, and types run the gamut. You can check out pull behinds, fifth wheels, toy haulers, Class A and Class C motorhomes, and even more! Plus, BKProductions knows how to put on a good event outside of the sales floor. Along with the two RV Super Shows in the state of Alabama we’ll discuss in this article, the company also runs two Alabama boat and sport shows, as well as an RV expo in Nashville, Tennessee. That kind of experience means expertise, so you know they’ll provide lots of fun extras and activities for you and your family. Speaking of family, if you’ve got kids along for the ride, you’re in luck: Kids aged 12 and under get into the show for free with an accompanying adult who pays for a full-priced ticket. Entry is only $10 at the door, so you don’t have to worry about the show destroying your budget. Sunday, February 18: 11 a.m. – 5 p.m. The Birmingham RV Super Show is put on by the same company as the Alabama RV Super Show — but it takes place at the huge BJCC convention center in the state’s most populous city, so you know it’s even bigger and more exciting than the Huntsville version! The Birmingham RV Super Show has everything the Alabama RV Super Show offers and more, since it’s held in a bigger space. You’ll find thousands of RVs from famous makes like Tiffin, Forest River, and Keystone, and they’ll come in all shapes, types, and sizes. The kids still get in free and the admission’s still the same price. But also, you’ll have the whole huge city of Birmingham waiting outside the doors once you’re through browsing! You could take the kids to the Birmingham Zoo or enjoy a romantic walk through the Birmingham Botanical Gardens. And don’t forget about the city’s vast array of world-class restaurants and bars. Whether you want a spendy splurge dinner or some of the best grab-and-go fried chicken you’ve ever tasted, this bustling burg has it all. And if city life gets to you, don’t forget: In Alabama, you’re never far off from a beautiful stretch of nature. The nearby Ruffner Mountain Nature Preserve is a great way to wind down from a busy day of finding your next great vehicle. You’ll have no shortage of peace as you wander along its 14 miles of hiking trails, spotting native Alabama wildlife like raptors, snakes, turtles, owls, and more. Friday, February 23: Noon – 8 p.m.
Alright, alright, we’ll fess up: This one isn’t technically an RV show. But if you’re familiar with the famous Rick and Bubba show, you can’t miss this expo, which specializes in all things outdoors. From hunting and fishing to just getting outside — even if that means dealing with a little dirt — this show will help get you outfitted for whatever adventure you’re planning to take next in your motorhome, travel trailer, or RV. 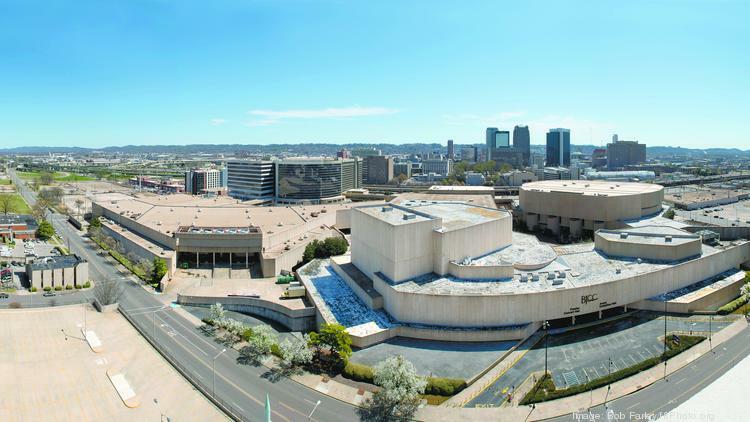 This exciting camping show takes place in the same convention center as the Birmingham RV Super Show — the Birmingham-Jefferson Convention Complex, nestled in the heart of the city’s downtown. That means you’ll have tons of space to explore all that Rick and Bubba producers Summit Media and Dan Moultrie will have on offer. And judging from the event’s website, there’s going to be a whole heap of fun! Obviously, the expo will feature tons of booths from outdoorsy vendors offering everything from camping gear to hunting equipment. But they’ve also planned lots of fun, interactive events and activities for the whole family. One of the best parts of the show is the vast array of celebrity meet-and-greets and autograph signings. You and your family can meet Rick and Bubba on Saturday, August 26 between 11 a.m. and 1 p.m., or Sunday, August 27 from 1 – 3 in the afternoon. Rick will continue to sign along with Andy Blanks, co-author of his devotional book, “How to Be a Man,” for an extra two hours after each session. Finally, as if all that’s not enough, you’ll also be entered to win door prizes ranging from Moultrie Mobile Game Cameras and Feeders to $100 gift cards. Friday, August 25: 5 p.m. – 9 p.m.
Saturday, August 26: 11 a.m. – 7 p.m.
Sunday, August 27: 12 p.m. – 5 p.m.
Price: $10 for adults and children 13 and up; children under 12 admitted free courtesy of Buffalo Wild Wings. There are no weekend passes; each day requires a separate ticket, which can be purchased ahead of time (here) or at the door. Although Alabama doesn’t host a huge number of RV shows, the ones it does have are some of the highest quality you’ll find. The event organizers behind these shows have been in the business for a long time, so they make sure to include fun activities suitable for the whole family, and they also bring a huge swath of rigs to the floor so you’ll have lots of opportunities to find your next dream vehicle! Of course, if you’re not quite ready to purchase your own recreational vehicle, renting is a fantastic option. By renting an RV, you get the chance to explore the lifestyle without committing to one, specific vehicle type. It’s a great way to figure out what kind of RV is right for you and your family — after all, there are a whole lot to choose from, and each offers a very different kind of camping experience! No matter where you’re coming from, there are plenty of RVs available for rent both at national franchises and smaller, privately owned rental facilities. But the peer-to-peer RV rental market offers some special benefits you just can’t find when you get your vehicle from a corporate rental fleet. When you rent an RV from a private owner, you know it’s well taken care of — after all, that person actually uses the rig for her own vacations and adventures! You can also expect the rig to be clean and comfortably appointed, with the little touches of home so many whitewashed rental vehicles are missing. Many Alabama RV owners list their rigs for rent when they’d otherwise be sitting empty. It’s easy to check out the listings of RVs you can rent in Alabama — all you have to do is simply click on the link. No matter whether you rent, buy, own, or borrow an RV, Alabama is a fantastic place to take a camping trip. After you’re done checking out the RV and outdoor shows, there’s still tons left to explore and do. Don’t miss the state’s surprising array of waterfalls or the short stretch of warm, relaxing gulf beaches along the southern border. Blue skies, warm sun, cold iced tea (or beer), and great people — that’s what camping is all about. And that’s exactly what it’s like in Alabama.